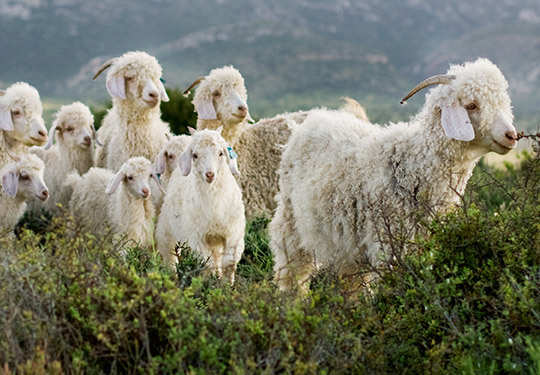 SAMIL, one of the principal mohair top processors and exporters in the world, was seriously concerned about the steady decline in the production of greasy mohair in South Africa and so, in 2011, the company launched one of its most ambitious projects to date. 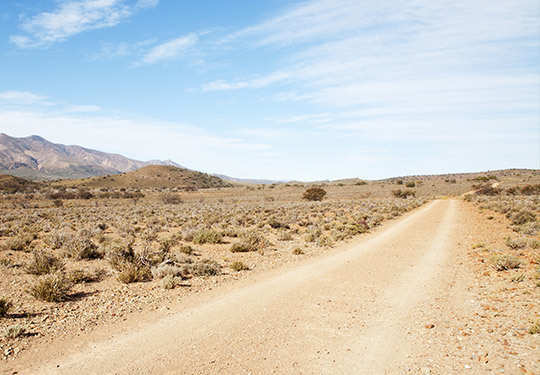 In order to secure land for angora goat farming and to keep abreast of the needs of the mohair processors, the farm Woodlands, of 1250 ha, was purchased where the company runs a commercial flock of both angora ewes as well as ‘kapaters’ (wethers). SAMIL Farming has also registered an angora stud, Stud 324, with the South African Ram Breeders Association. The latest addition is a cattle tuli stud in order to utilise the farm vegetation optimally. Furthermore, in order to secure more land for mohair farming, SAMIL Farming, in partnership with one of the most progressive farmers in the mohair industry, leases a farm in excess of 8000 ha. The farm is used solely for mohair farming and a commercial flock of well adapted angora ewes is kept here. It is normal practice for mohair farmers to send a number of their so-called ‘kapaters’ (18 to 24-month-old castrated male goats) to the abattoirs in order to generate some cash flow and to free up land and feed for the new generation of goat kids. SAMIL chairman, Francis Patthey, initiated the idea to form partnerships with various farmers to buy these goats and run them on the partners’ available land with the proceeds of the mohair sale being split between SAMIL Farming and the farmer. At present SAMIL Farming has ten partners in this initiative, made up of seven commercial farmers and three Black Economic Empowerment Groups. 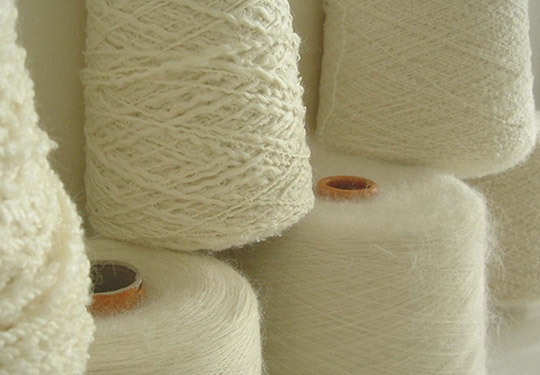 The company aims to produce forty tons of mohair in the year 2013. In stimulating economic growth, SAMIL Farming’s activities have far-reaching effects in rural areas, improving the quality of life of many by creating job opportunities in impoverished communities while simultaneously improving the supply of greasy mohair to the industry. The latest and not least important venture under the SAMIL umbrella is our research project called ANGELA. ANGELA has as its objective the enhancement of Angora goats and the mohair industry, from kidding to the improvement of the different hair qualities. The project will make available its results to all in the mohair farming community, and its intention is to generate interest to attract a wider participation of other farmers. ANGELA was conceived in January 2013, and started in February 2014. Its operations are located at the Vleikuil farm, close to Willowmore in the Eastern Cape. It is a partnership between a prominent mohair farmer and SAMIL Farming, and furthermore with the valued collaboration of Grootfontein Agricultural Development Institute (GADI) and a bio chemistry professor from the University of Barcelona. The financing of the project is assured by the revenues of ANGELA Research NPC (non-profit company), through a generous capital donation from the chairman of SAMIL Natural Fibres. It is projected that the revenues will be sufficient to sustain the venture for as long as 20 years. The project starts with 15 selected rams, owned by ANGELA and 500 ewes, the latter remaining the property of the participating farmers. It is benefitting from the experience gained over a long period, by a sister company in the alpaca industry at Pacomarca in Peru. For more than twenty years SAMIL commissioned the combing of greasy mohair in the United Kingdom, Italy and South Africa. However, in 1987, SAMIL established its own combing plant, Border Combing Company, in Berlin, outside East London in the Eastern Cape, now known as SAMIL Natural Fibres Combing. 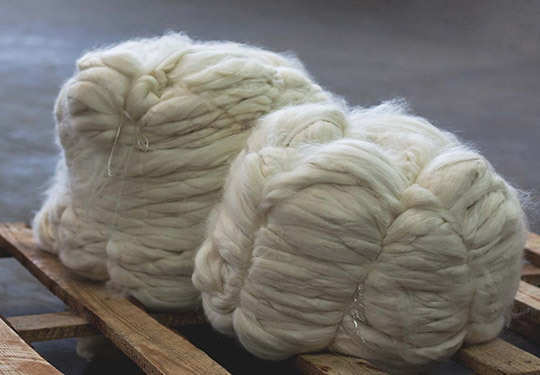 As mohair processing has decreased in other areas of the world, SAMIL Combing, as it is now known, has become one of the world’s leading processors of mohair. With a capacity of in excess of forty tons of top and noil per week and ten tons of scoured (washed but not combed mohair), SAMIL Combing processes all of the greasy mohair purchased by SAMIL Trading, and it also offers commission combing to the industry. Unlike many processing plants around the world SAMIL Combing focusses on and is committed to processing only mohair. Based at the source of the mohair industry, with its early beginnings firmly entrenched in mohair, it is only natural that mohair forms the main component of the Trading Division of SAMIL. However, SAMIL Trading is not limited to the trading of only mohair. From being primarily a greasy mohair trader, SAMIL has, through a strong support base of affiliated companies, partners and agents established strong connections throughout the world for the purchase and sale of raw materials and finished goods. Although mohair is produced in various parts of the world, South Africa processes in excess of 80 per cent of the world’s mohair production. SAMIL recognised the need for purchasing operations in the producing areas and now has agents and self-managed operations that purchase mohair not only in South Africa but also in Australia, New Zealand, the United States, Lesotho and parts of Europe. Having committed representatives throughout the world gives clients direct, face-to-face communication with us as suppliers, and ensures quick reaction times to enquiries as well as constant updating of market fluctuations and general information. The advantage of having both top-making and spinning operations in South Africa, as well as access to raw material produced within the company, is that SAMIL is able to offer lots guaranteed from origin, a rare luxury in today’s business environment . This is true not only of our top-making but also in the spinning operation where particular care is taken when purchasing any natural or synthetic materials. An exceptionally close link between SAMIL Trading Division and the Farming, Processing, Spinning and Dyeing divisions of SAMIL enables us to supply clients with up-to-date and accurate information at all times. Committed to adding value to the product, SAMIL encourages the involvement of all participants in the industry. 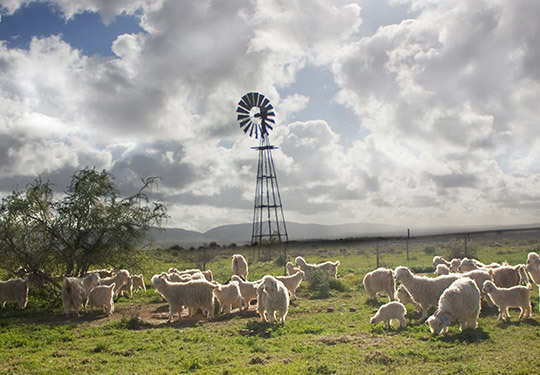 SAMIL Spinning (previously Cape Mohair Spinners) was established in 1994 and is located in Port Elizabeth at the heart of the South African mohair industry. 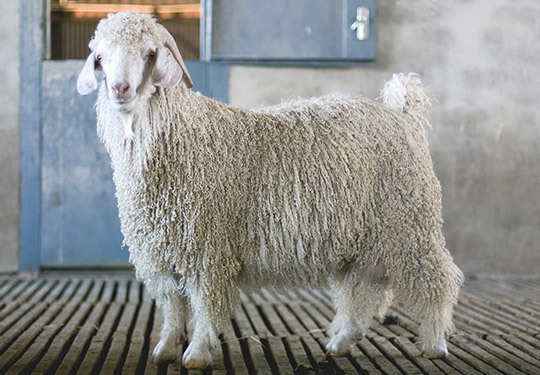 Sixty-five per cent of the world’s angora goat farming is practised within a 300km radius of the city and this ensures that we have the pick of the very best mohair tops. 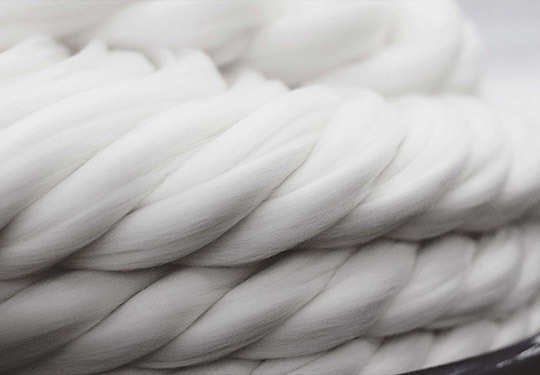 SAMIL Spinning is a global manufacturer of outstanding quality mohair yarns, producing a wide and exclusive range of mohair and mohair blended fancy and fine-spun yarns in both fine-count and coarser varieties. We are internationally renowned for our superior product range and cater for the hand knitting, machine knitting, weaving, hosiery and decor markets. Although we specialise in pure mohair, we also blend mohair with a range of other natural and man-made fibres. Yarns can be custom dyed to any shade at SAMIL’s own dye house..
We believe in the principle of responding to market demands and pride ourselves on being an international leader in the fields of both fancy and worsted yarns. SAMIL Spinning's mark of excellence guarantees customers exceptionally high quality products supported by a wealth of knowledge, experience, technology and quality assurance.